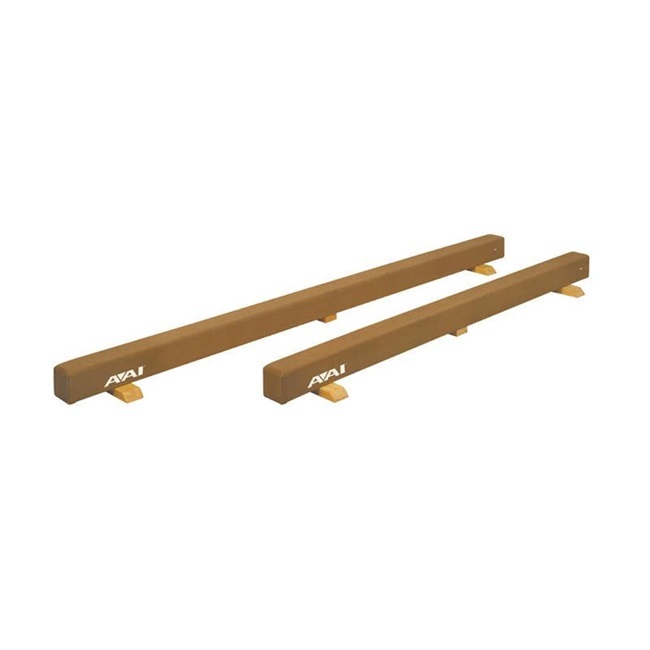 These Balance Beams are a great training product for beginning gymnasts. Wood core construction. Working surface has 1/4’’ (.6cm) padding, with competition suede-like cover. Top of beam is 5-1/2’’ (14cm) high. Beam rests on wooden feet. Beam width is 4’’ (10cm).